Kids will love recording their thoughts and memories in this fun kids travel journal! It’ll make a great keepsake for years to come. How many of you are planning a summer road trip? Did you see my post earlier this week where I share 6 sanity savers for summer travel? If so, how many of those six tips do you already implement when you travel? If not, hop on over and check them out. Today, I want to share another fun travel tip with you. 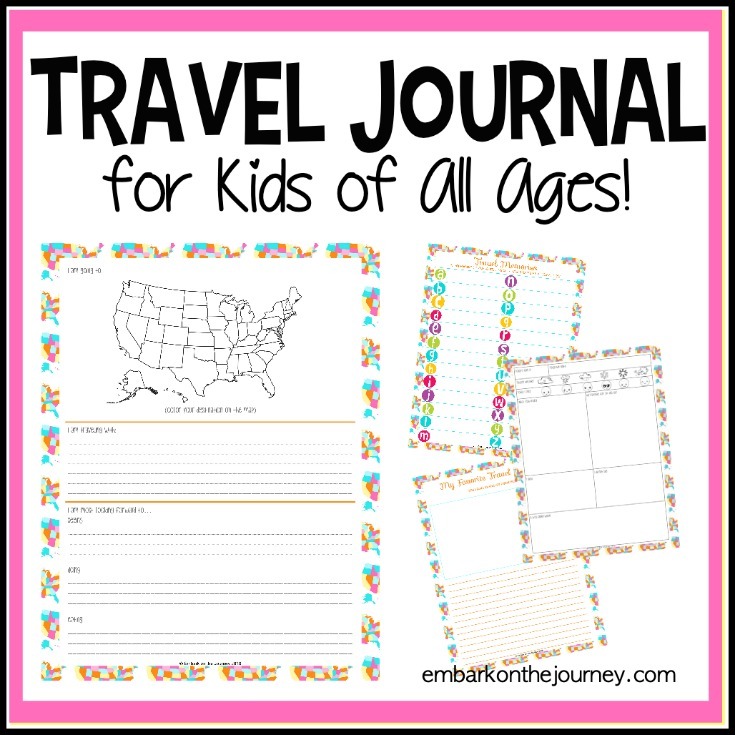 No matter where you’re traveling with your family this summer, print out this fun travel journal for your kids. They’ll love recording their memories in their very own journal. You can put them in a 3-ring binder so kids can move the pages around or add more pages to their journal. This would be something fun to add pages to with each new trip. As you plan your next trip, don’t forget to plan fun ways to entertain the kids while you travel. This will help you and the kids enjoy the journey as much as the vacation itself. 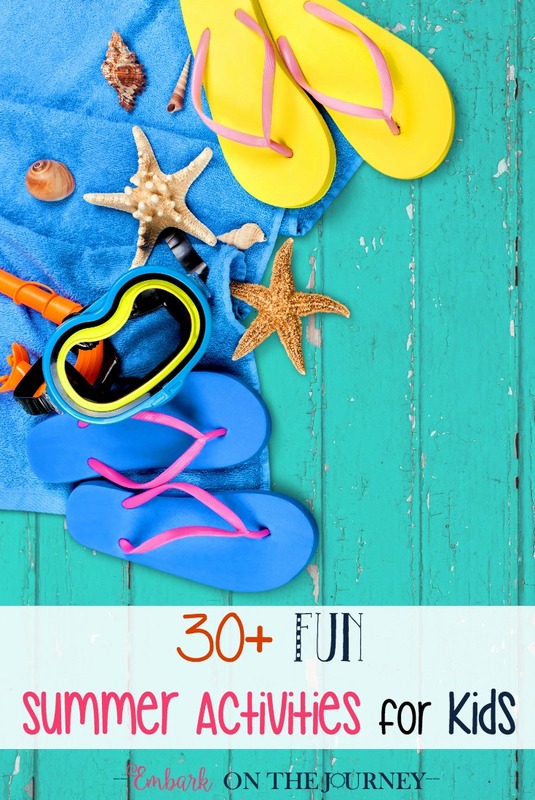 Road Trip Activities – These fun road trip games for kids will keep them entertained for a bunch of it. Road Trip Books and Games – Here’s a great list of list of really awesome road trip games for kids that will definitely be going on our buy list for this fall. Best Children’s Audio Books for Kids – Keep everyone entertained, including the kids, with these 20 captivating children audio books! Alphabet Travel Tic Tac Toe – This alphabet travel tic tac toe is the perfect activity to take with you on family trips. Outdoor Breaks for Road Trips – Here are 5 trusted outdoor breaks for road trips around the world. 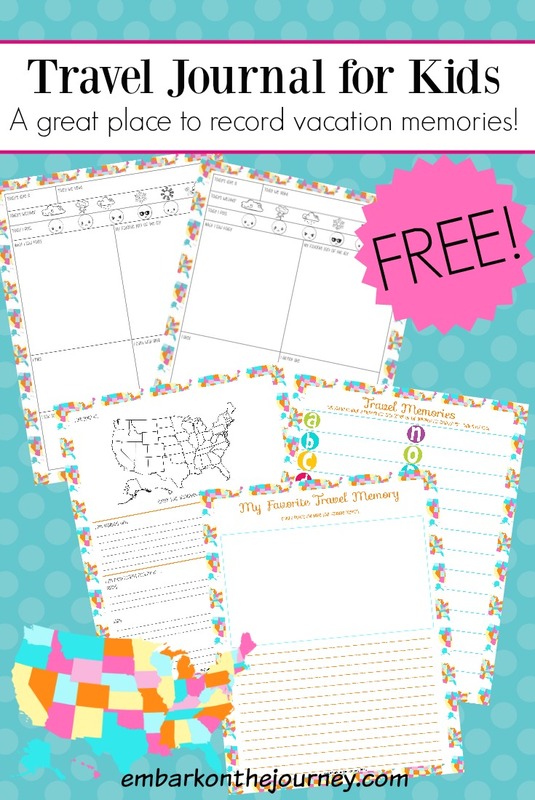 Road Trip Notebooking Pages – Before you head out on your next road trip print a set of these fun notebooking pages that your kids can use to record their vacation stories and memories! Grab the fun travel journal I’ve created for you! « How Long Is a Typical Homeschool Day?